Fourth in a series of honoree announcements. More to come! Donald King is a cultural liaison and convener, who bridges gaps and breaks down barriers by bringing people together through food, music, and art. His past accomplishments include the founding of the Providence Black Repertory Company and Providence Sound Session, and he now serves as the Chief Creative Officer for the Providence Cultural Equity Initiative. A current resident of Austin, Texas, he is a graduate of Leadership Rhode Island’s 2002 Chi class and was a Program Committee Co-Chair for the 2014 Kappa II class. Leadership Rhode Island is proud to recognize him on March 22nd for the great impact he’s made in our state! Please join us at the Providence Marriott Downtown as we celebrate Don and other leaders as hosts who are yet to be announced. Tickets and sponsor packages are available at lriluncheon.eventbrite.com. Donald King is a creative director, curator, educator, producer, branding/marketing specialist and socio-musicologist with more than 20 years of notable accomplishments. King has extensive expertise in the arts, education and literacy training, including developing and producing large scale, multi-stage festivals and placemaking events. King has been instrumental in creating viable cultural arts institutions, venues, events, and brands in highly competitive markets. He was the founding Executive & Artistic Director of The Providence Black Repertory Company for 13 years. He served as a visiting professor at his alma mater, Brown University where he was selected to join The Center for Slavery & Justice (Black & Red Cluster) via The Providence Cultural Equity Initiative where he serves as Creative Officer. King resides in Austin, Texas. He is also a managing partner and the Creative Director of King Saint Germain, a boutique marketing & entertainment agency. 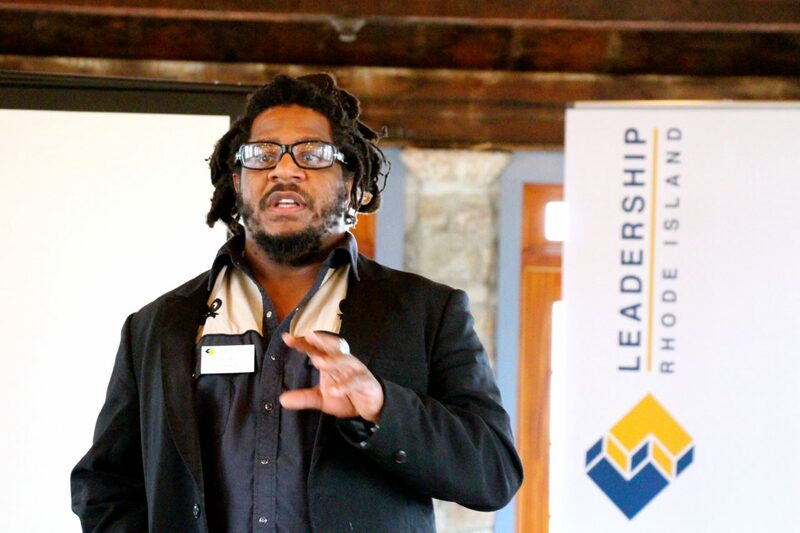 King was recently appointed Creative Officer of The Providence Cultural Equity Initiative (PCEI) where he helps to facilitate local, regional, national and international cultural exchange initiatives. King’s facilitation skills, creativity, leadership abilities and engagement practices are sharpened through his work with The Arts Lit Project at Brown University, The Learning Alliance (Moonshot Academy), and his ongoing role as an active alum of Leadership Rhode Island and as a previous LRI Program Co-Chair.